Despite their reputation for undertaking grueling and dangerous work, lumberjacks still know how to have fun. Need proof? Simply attend Loving Lakewood: Lumberjack Bash. Presented by Geiger’s, the Lumberjack Bash serves as a fundraiser for LakewoodAlive. All lumberjacks and jills are cordially invited to don their best plaid and attend the Bash on Saturday, Feb. 25, from 7:30 to 11 p.m. at The Bottlehouse Brewery Lakewood (to secure tickets, click here). LakewoodAlive announces a full slate of entertainment options for the Lumberjack Bash to ensure guests enjoy a log-splitting good time. 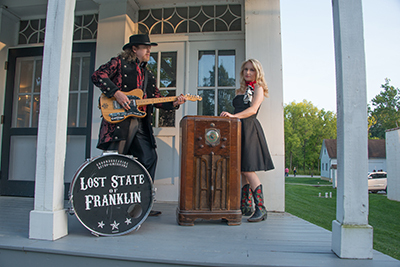 Cleveland-based band Lost State of Franklin will entice the plaid-clad audience to dance their axes off by performing a brand of music blending elements of folk, bluegrass and country to create a sound that’s pure Americana. For more information regarding the Lumberjack Bash, please visit LakewoodAlive.org.